A project for some time, I finally took it out to see the light of day. 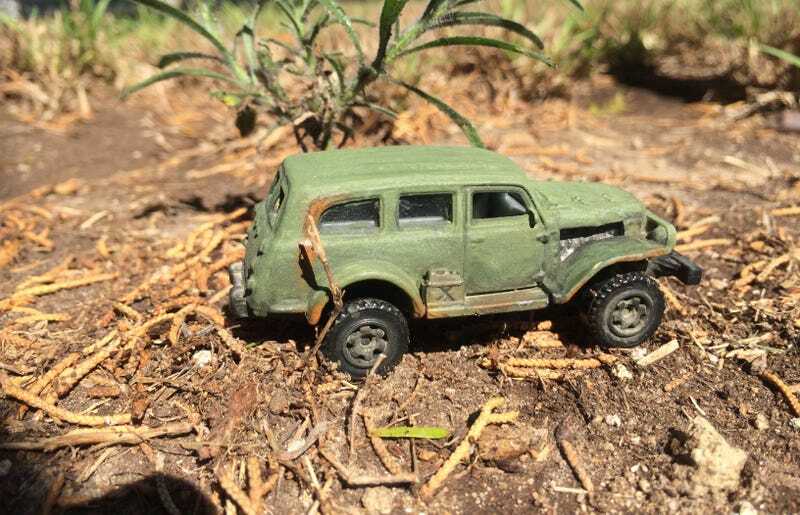 This started as a tan MBX Power Wagon with goofy tampos, that I gave a coat of good ol’ OD green to, then weathered. Was going to put M*A*S*H type Red Crosses on it, but haven’t gotten around to it.